As a tribute to Colleen, and to aid in the effort to discover the cause of biliary atresia, her family has organized an annual community fundraiser. 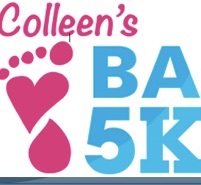 Colleen's BA 5K has raised and donated over $130,000 in five years! Through the Colleen Mitchel Memorial Fund, we fund efforts to raise awareness for organ donation in our community and for research at Johns Hopkins into the root cause of biliary atresia (BA) and improving outcomes of children living with liver disease and post-transplant.